A judge suggests the need to order reunions is unnecessary because of Trump's executive order. But that appears to be wishful thinking. McALLEN, Texas — The US Attorney’s Office in McAllen, Texas, stopped filing illegal entry charges against parents caught at the border with their children on Thursday as more details emerged showing how difficult it will be to reunite families that were separated under the Trump administration's "zero tolerance" immigration enforcement policy. A federal judge who was considering a motion to order the federal government to reunite parents charged with illegal entry with their children said he no longer needed to issue the order because the US attorney was no longer charging such parents with a crime. An assistant federal public defender, Azalea Aleman-Bendiks, told the same hearing that her office had been unable to locate through a federal tracking system nearly a quarter of the parents they were trying to reunite with their children. All the parents appeared at a May 23 hearing. Aleman-Bendiks also pointed out the scale of the problem in this sector of the border by noting that, by her estimate, 800 to 900 children have been separated from their parents in cases heard in McAllen federal court — about a third of the 2,300 or more children the Department of Homeland Security has taken into custody under the family separation policy. The case Aleman-Bendiks was there to present also was a sign of the complicated nature of the problem created by the application of zero tolerance and family separation. Her client, Damaris Margolin Hernandez-Chacon De Figueroa, a mother seeking to be reunited with her daughter, is currently being detained in Washington state. 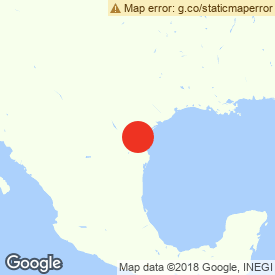 Her daughter is at a facility for children in San Benito, Texas — 2,400 miles away. "Today marks 30 days since she was separated from her child," Aleman-Bendiks said, referencing her client's May 21 arrest after she had rafted across the Rio Grande near here. "They continue to endure the pain of being separated." But the judge, Peter Ormsby, deferred ruling in the case, saying the US attorney's decision not to charge 17 people who'd been expected in court Thursday morning to face illegal entry charges showed that the federal government no longer intended to separate parents from their children — making an order from him mandating reunion unnecessary, at least immediately. "It’s my understanding that the issue that I was going to address may be moot now since the government, I understand, does not intend to charge individuals in those circumstances," Ormsby said. Ormsby said he'd heard that the 17 people might even have made it into the federal courthouse before it was learned that the government was not going to proceed with prosecuting them. They were returned to immigration detention without being presented in court. James Sturgis, assistant U.S. attorney in charge for the McAllen Division of the Southern District of Texas, said his office made the decision not to prosecute the 17 "in light of the executive order" Trump signed Wednesday. Carlos Moctezuma García, an immigration attorney who interviewed six or seven of the 17 immigrants, said they'd already been separated from their children. “They have no idea where their children are,” García said. Usually, immigrants are given what's known as A-numbers so they can be tracked while in federal custody, but he said all the migrants he spoke with told him they hadn't been given their kids’ number. He said he has no idea how the parents are going to be reunited with their children. Aleman-Bendiks told a similar tale of dislocation. She said her office tried to match 38 adults who appeared at a May 23 hearing with the 39 children they'd been separated from. Twenty-nine of them are without their kids because they are being held at immigrant jails that don't allow children. The remaining parents couldn't be located through the federal government's tracking system. Aleman-Bendiks also said her office has the names for only seven of the 39 children and that the Office of Refugee Resettlement, the federal government agency responsible for housing migrant children, won't say where precisely they are being held, only what states they are being held in. "We do know that the parents who have been separated from their children for 30 days," Aleman-Bendiks said. "Every day that goes by, these children are continuing to suffer the pain of being apart from their parents so we do hope to work with the government to find a solution to bring those families together and to reunite them." Nashrulla reported from New York.